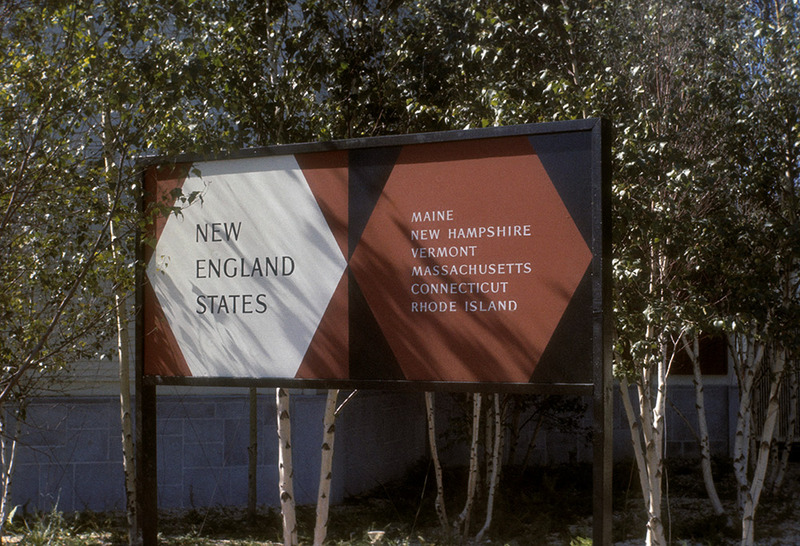 Every now and then I spot something in a slide I hadn't seen before, like this sign for the New England States Pavilion. I don't even remember this pavilion. Interesting photograph.